Application servers provide a framework to build and deploy web applications and offer a variety of services when running such applications. These services include security, transactions, clustering for increased performance, and diagnostic capabilities, among others. These products can also include servers that strictly host web applications. Application servers are used by software developers who are trying to quickly build applications and have them supported by the server environment in which they are deployed. These products allow developers to focus on the application itself and spend less time focusing on outside issues, such as performance or security. Application servers can run in conjunction with relational databases and a variety of web frameworks. Application Server reviews by real, verified users. Find unbiased ratings on user satisfaction, features, and price based on the most reviews available anywhere. Apache Tomcat is an open source software implementation of Java Servlet and JavaServer Pages technologies and are developed under the Java Community Process. With IIS, you get choice and control without giving up reliability or security. Rapidly create, move, and deploy your Java applications to the cloud in minutes, with single and multi-tenant options, and savings up to 30% or more. Cost optimization Helps move your existing Java apps quickly and easily to the cloud to take advantage of pay as you go hourly and monthly pricing models. Develop next-gen applications Ideal platform for developing next-generation Java apps with microservices and APIs, to deliver rich, secure, omni channel user experiences. Choose your cloud environment Choose single-tenant or multi-tenant cloud environments to deploy your applications, providing maximum performance and cloud economics from development to deployment. LiteSpeed Web Server (LSWS) is compatible with commonly used Apache features, including mod_rewrite, .htaccess, and mod_security. LSWS can load Apache configuration files directly and works as a drop-in replacement for Apache while fully integrating with popular control panels — replacing Apache in less than 15 minutes with zero downtime. Unlike other frontend proxy-based solutions, LSWS replaces all Apache functions, simplifying use and making the transition from Apache easy while also allowing your team to move confidently with little-to-no retraining. 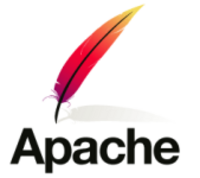 Apache Geronimo is an open source server runtime that integrates open source projects to create Java/OSGi server runtimes designed to meet the needs of enterprise developers and system administrators. Oracle WebLogic Server 12c is the #1 application server across conventional and cloud environments. It is the cornerstone of Oracle cloud application foundation, the industry's most complete, best-of-breed platform for developing cloud applications. With Jboss Enterprise Middleware you can do more. Much more. For much less. Cost-effectively develop, deploy, and manage applications. Update business processes faster. And integrate more services and data. On-premise or in the cloud. Your choice. ProGet helps you package applications and components so you can ensure your software is built only once, and then deployed consistently across environments. This means everyone can be certain that what goes to production is exactly what was built and tested. Third-party packages (such as NuGet, npm, PowerShell, and Chocolatey) and Docker containers are also supported, allowing you to enforce quality standards, monitor for open-source licenses, and scan for vulnerabilities across all packages, much earlier in the development cycle. Apache JAMES has a modular architecture based on a rich set of modern and efficient components designed to provide complete, stable, secure and extendable Mail Servers running on the JVM. Apache Traffic Server is a fast, scalable and extensible HTTP/1.1 and HTTP/2.0 compliant caching proxy server. Insynq, LLC is an institutionally owned cloud specialist that developed Your Customized Cloud, powered by Insynq’s proprietary cloud architecture. After being in business for 20 years, it’s our secure platform and white-glove service that separates us from the rest. Insynq specializes in helping companies who need a customized cloud solution that you can’t get from other providers. Supporting the most extensive application library on the market, and specializing in legacy applications, is our niche. At Insynq, we build enterprise level security and disaster recovery into every cloud we create. We provide users a desktop environment with all files, applications, and email on our secure virtual platform. The desktop can be accessed from anywhere with an internet connection using a laptop, tablet or smartphone. RunCloud is a SaaS server manager for PHP servers. Cloud 66 for Rails allows you to build, manage and maintain your Rails applications that can be deploy to any cloud provider or to your own server. Cloud 66 for Rails helps you scale your database with master-slave replication, without having to make any configuration changes. You can add back-ups, load balancers and de-commission servers with a single click. Popular Rails and Rack frameworks available. How to get started? Get started with three easy steps. First connect Cloud 66 to your Git repository (Git, GitHub or Bitbucket), then connect to the cloud provider of your choice (e.g. AWS, DigitalOcean, Linode, Microsoft Azure, Google Cloud, bare-metal Packet or with our Registered Servers feature to any server) and lastly deploy. Take advantage of automatic detection of used databases in our source code. And access to wide range of tools and features (including Load Balancer, LiveLogs, ActiveProtect, Deploy Hooks, Failover Groups, API and command lines, Team Access Control and more). OpenResty is a fledged web platform that integrates the standard Nginx core and LuaJIT. It is designed to help developers build scalable web applications, web services, and dynamic web gateways. A web server and application server for your web apps. Keeps your users happy, saves your business time and money. The Data Center is precision-controlled air-conditioning systems with incorporated N+1 redundancy. We guarantee uninterrupted uptime of your server thanks to our backup power lines, high capacity power generators, electricity lines and lease lines. IBM CICS is a set of enterprise application servers with exceptional transactional performance and connectivity for mission-critical transactions. Interstage Application Server combines leading-edge technology with Fujitsu's proven expertise in the construction of reliable, scalable, and secure mission-critical systems. Payara Server is a fully supported, developer-friendly, open source application server. Payara Server's architecture is innovative, cloud-native and optimized for production deployments. The application server, compatible with Eclipse MicroProfile, is built and supported by a team of DevOps engineers dedicated to the continued development and maintenance of the open source software and committed to optimizing Payara Server as the best option for production Java EE applications. Pivotal tc Server provides enterprise users with a lightweight Java application server that extends Apache Tomcat for use in large-scale mission-critical environments. Resin is the Java Application Server for high traffic sites that require speed and scalability. It is one of the earliest Java Application Servers, and has stood the test of time due to engineering prowess. Univention Corporate Server (UCS) is an easy-to-use and equally very comprehensive platform to efficiently manage server applications and complete IT infrastructures. It is optimally suited for the management of distributed, heterogeneous and virtualized IT environments, no matter whether you deploy Microsoft Windows, Mac OS X or Linux systems. Provided with a scalable underlying concept suited for single server scenarios as well as to run and manage thousands of clients and servers for thousands of users within one single UCS domain, UCS can always be adjusted to companies' growth. The software is 100% open source, free-to-use, provides extensive Active Directory services and an App Center to integrate a wide variety of enterprise applications in the field of groupware, CRM, backup, ERP, DMS, etc. Simple Application Server is a new generation computing service for stand-alone application scenarios. It provides one-click application deployment and supports all-in-one services such as domain name resolution, website publishing, security, O&M, and application management. This optimizes the user experience of setting up a simple application and makes it easier for entry-level users to use cloud computing products. Appweb Web Server is a fast, embedded web server. Quickly and easily launch your favorites on your own servers or deploy to every major cloud environment. Choose from local installers, single VMs, multi-tier VMs, container images or Kubernetes Helm charts. Stacksmith enables application packaging and automated continuous maintenance for multiple clouds. Stacksmith’s application-centric approach emphasizes the orchestration of applications and associated processes, instead of an infrastructure-centric approach which looks at the world through the lens of machines to which software is connected. Stacksmith delivers monitoring, notifications, and a simple updating process that relieves operational burden, while minimizing the impact of addressing security vulnerabilities. 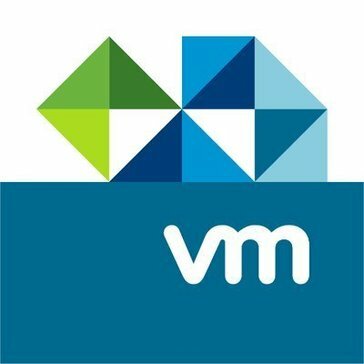 Stacksmith’s uniform process of building containers and VM images enables easy deployment on multiple clouds. Modular HTTP server written in Erlang. EasyConnect is a fast, simple, and safe remote access solution that seamlessly integrates SSL-VPN, application virtualization, and WAN Optimization technologies. With EasyConnect you can run applications from your sever, private cloud, or public cloud on any device anywhere. Users quickly and easily access internal resources, applications, and files using any device with a web browser or an app. ejabberd is a scalable and extensible XMPP Server. GoAhead is an embedded web server. Hiawatha Webserver advanced and secure web server for Unix that can stop SQL injections, XSS, and CSRF attacks and exploit attempts. Our technology, powered by Dot Net, extracts data via ODBC, OLEDB or Dot Net Data Provider sources into an In-Memory Database. Data is compressed by a factor of 5-10. Typically the extract is saved to disk, then loaded into memory for ultra-quick retrieval purposes. SQL queries are used to aggregate possibly hundreds of millions of rows in under a second. JEUS meets the demands created by internet usage and speeds in South Korea, that are some of the highest in the world, delivering stability and security providing additional benefits when combined with WebtoB, TmaxSoft's Webserver. Lasso is an application server and server management interface. Matrix COSEC CENTRA is an enterprise-grade offering attendance and access control features. Monkey is a lightweight and powerful web server and development stack for Linux & OSX. Hi there! Can I help you find the best Application Server solutions?